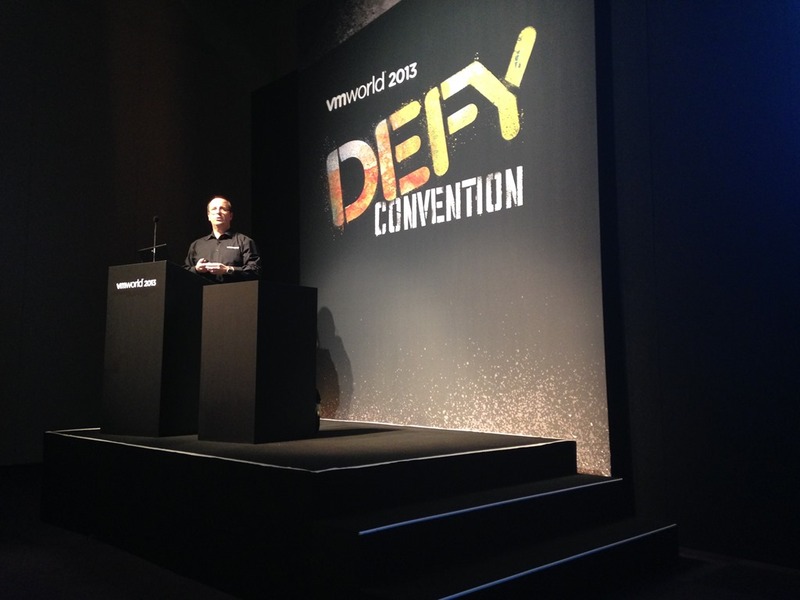 Today VMworld Europe 2013 started with the partner day at the Fira Grand Via in Barcelona. Yesterday evening the FlexVirtual team including me arrived at Girona airport an hour outside Barcelona. This year we rented an apartment for the four of us instead of an hotel. A comfortable place with all that you need for a week. But back to VMworld. I attended three sessions today including the “Partner General Session”, but more on that later. Spoke to several peers during lunch and during the partner welcome reception, nice to see everyone made it again this year. 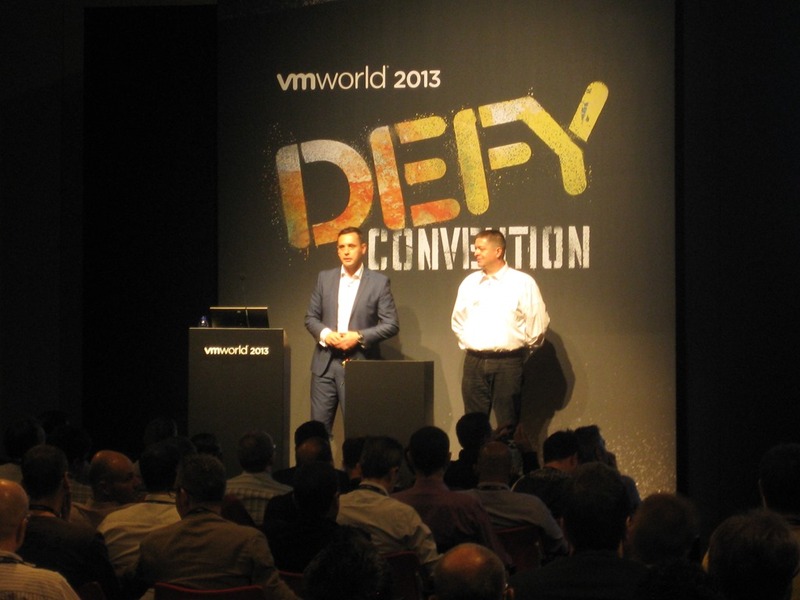 Networking is still one of the main reasons to visit such an event as VMworld. 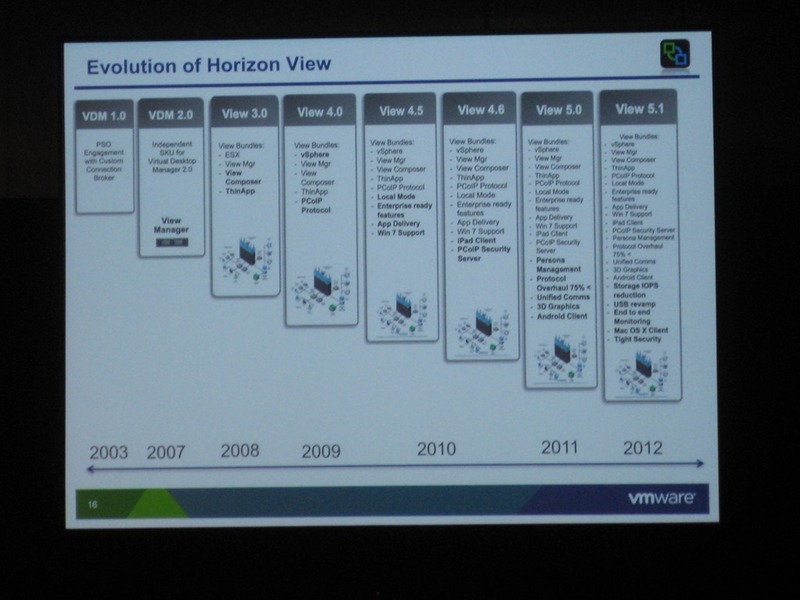 Nowadays View is capable of serving 99,x% of the use cases, instead of a couple of years ago when it only was suitable for 50% of the use cases. Next up was a fellow partner from the Netherlands called Imtech in person of Edwin Weijdema (@viperian) he explained how Imtech has been implementing View in a hybrid scenario. Imtech started by talking to customers and the business to define the business architecture and aligning a reference architecture which has proven its value before. Thus being able to define some black boxes which are more or less standard so they can focus on the critical business applications the customer has. The second session I attended was titled “End-User Computing in the 21st Century, shifting Sands and the Imperative for Change” by Garry Owen. Tablets are the fastest growing device, the speed of how your customers are adopting these technologies. Lots of good solutions are used: but most of them are point solutions and have their own management interface. What to do about it? Manage the user, not the device. 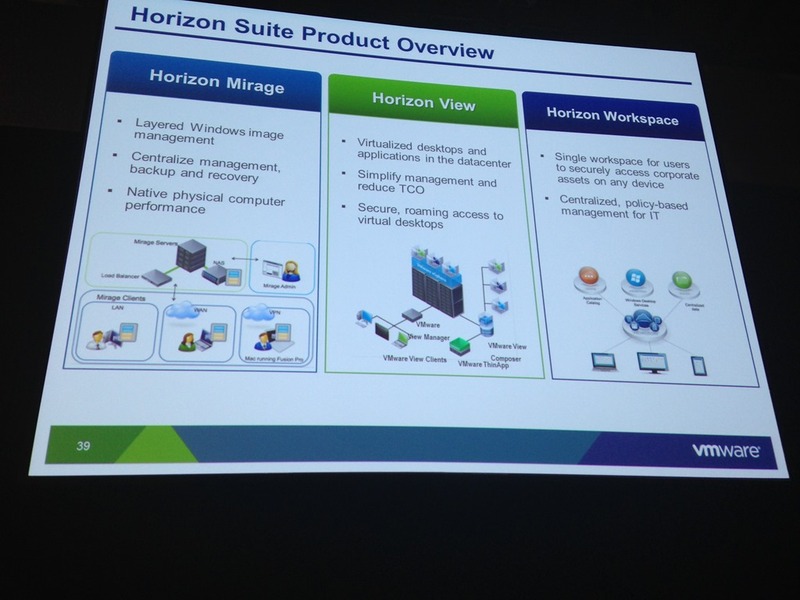 VMware has Horizon Suite which covers all areas with one solution and one management interface. Architect for change and continual improvement Embrace co-ownership. Prioritize end user experience (live or dies with this). Treat mobile as first.